Rescue Boat - Fully pre-painted and essentially preassembled. Equipped with Sirens, Spot Lights, Anchor, Capstan, Fenders, Handrails, Fire Monitor. Rendered with fine details, such as the Wheelhouse, Long-Range Communication, side-mounted Hoist, Tiny Rivets, and Ventilators. 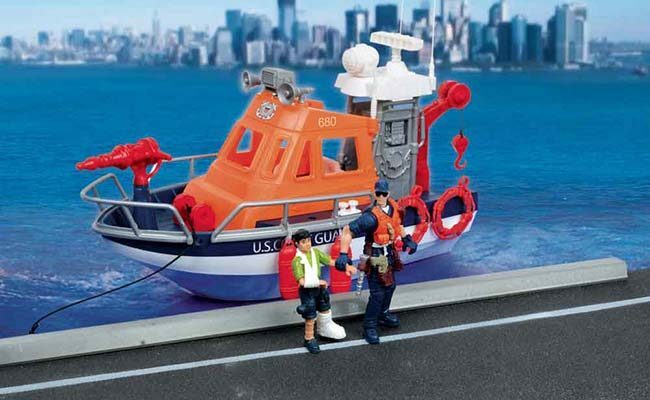 U.S. Coast Guard Figures fit perfectly into Wheelhouse. 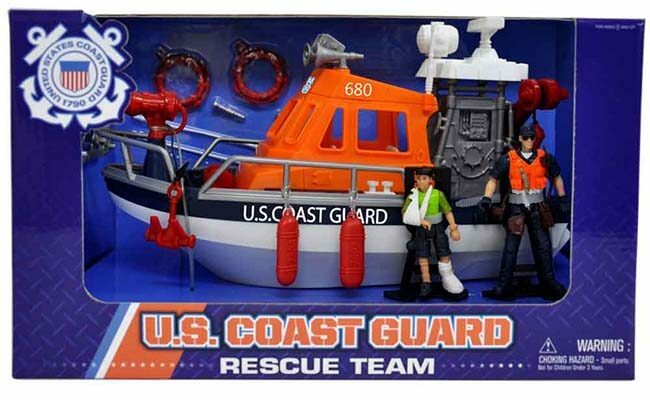 U.S. Coast Guard Figure - Wear primarily distinctive Operational Dress Uniform, Reflective Vest, Cap, Sun Goggles, Mittens, Holster, and Ankle Boots. Hand and feet joints can be manipulated for a greater degree of movement and more realistic figure poses. The extremely dexterous hands are updated with a more natural texture. The item may be produced and designed on the assumption it will be bought solely for display.